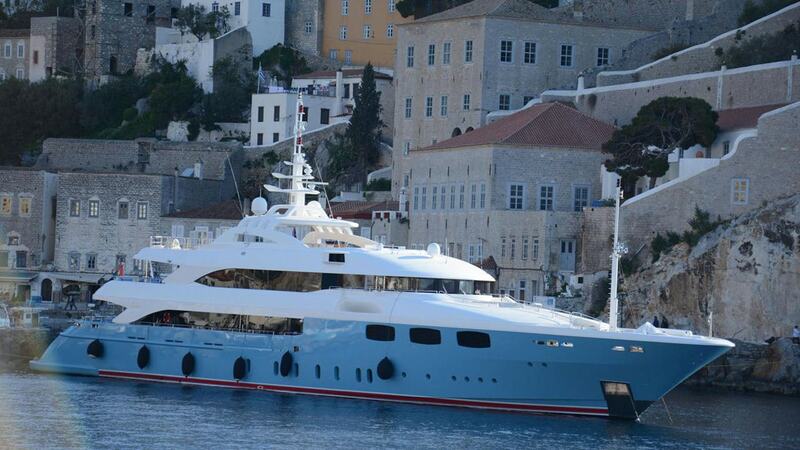 MIA RAMA built in 2010 by Golden Yachts with naval achitecture by Hydrotec. 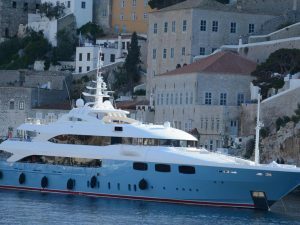 She measured 53.58m (175.66 ft) and last refitted in 2016. 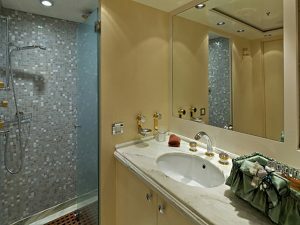 For her interior and exterior design, responsible is Studio Vafiadis. 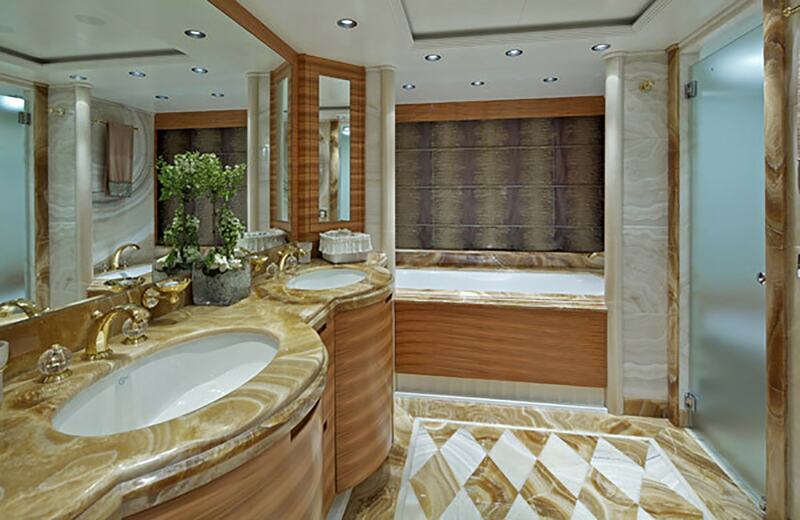 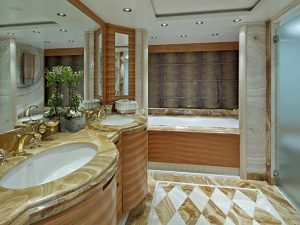 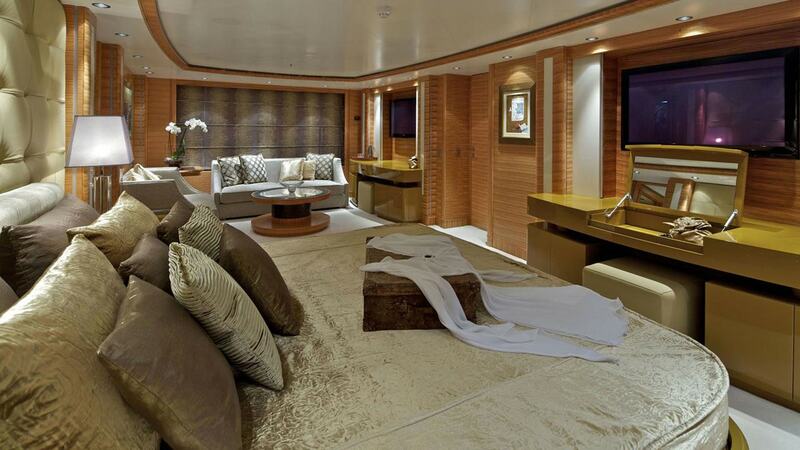 M/Y MIA RAMA featured two salons: main and upper salon. 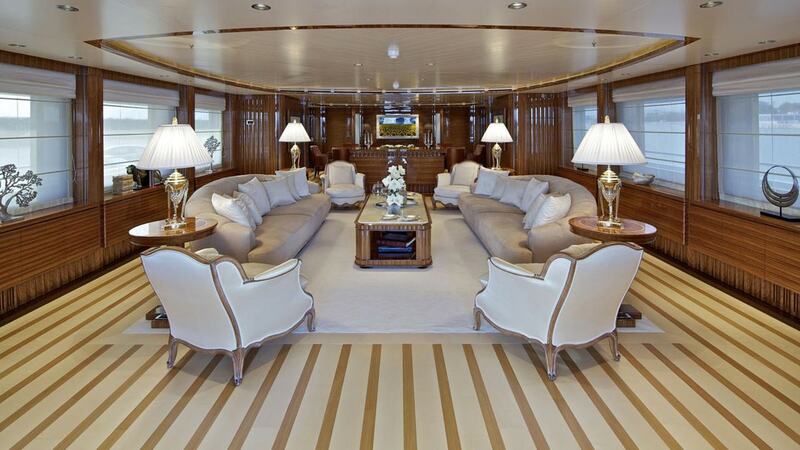 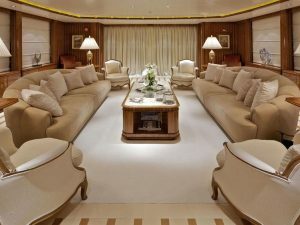 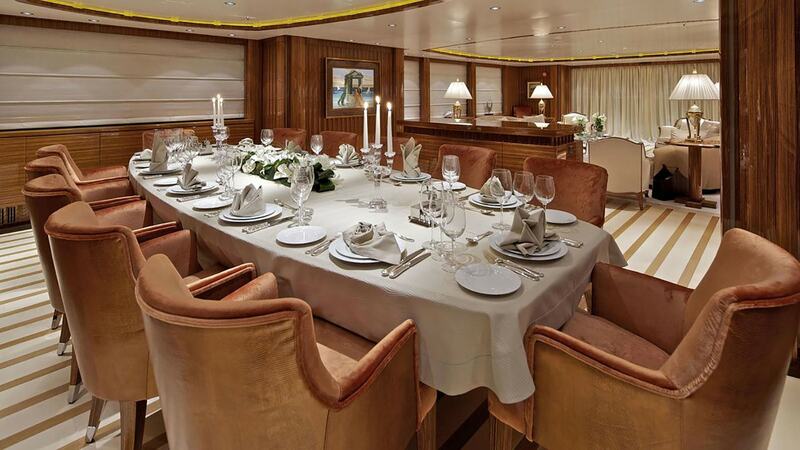 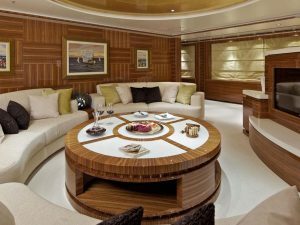 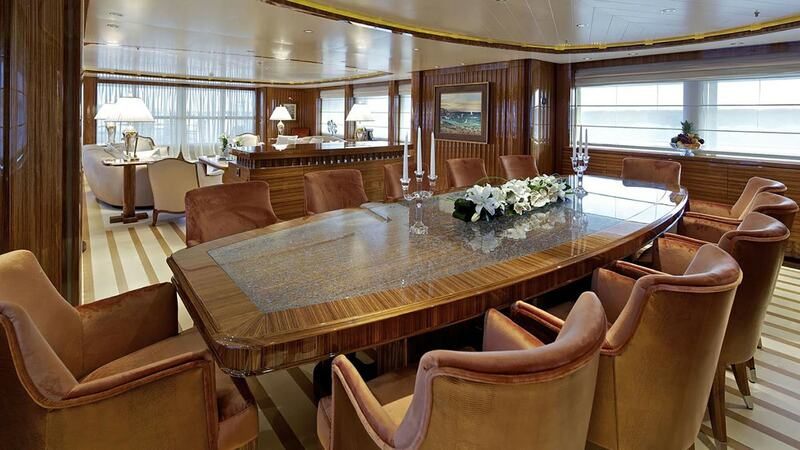 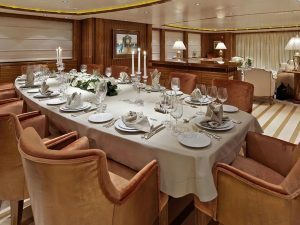 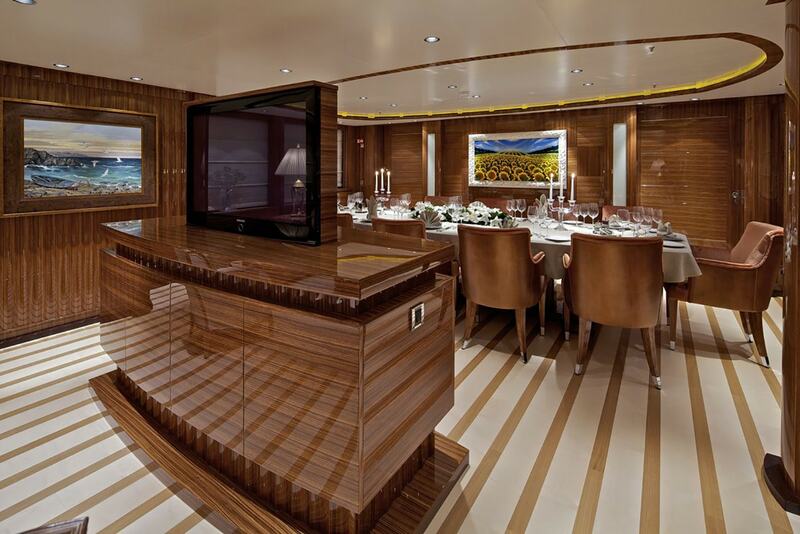 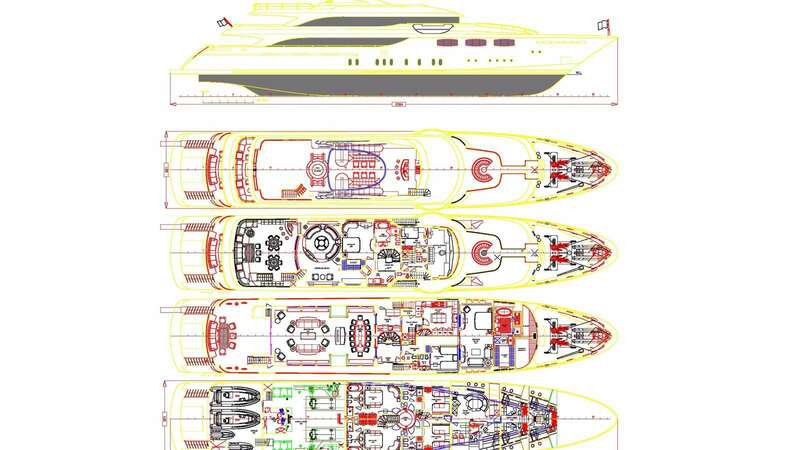 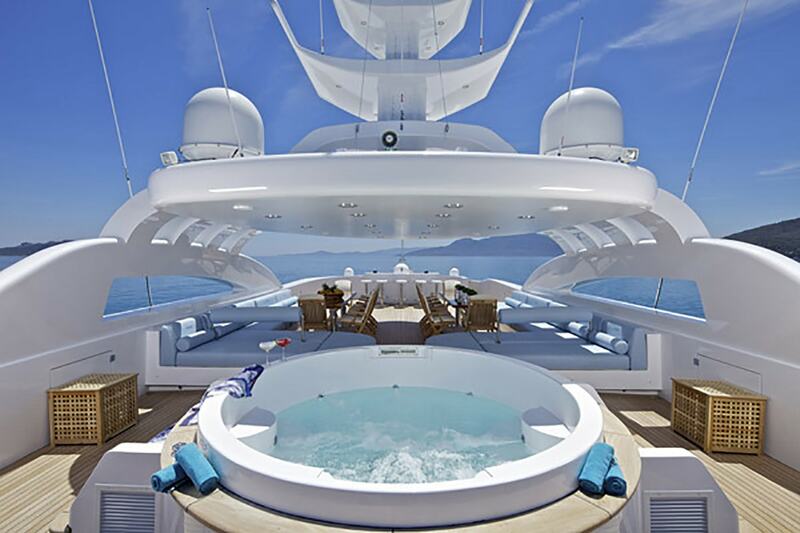 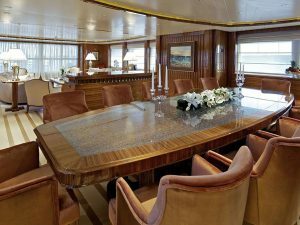 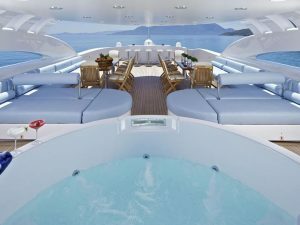 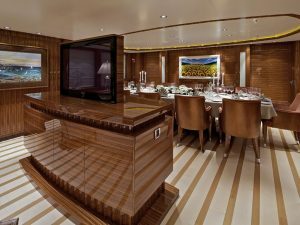 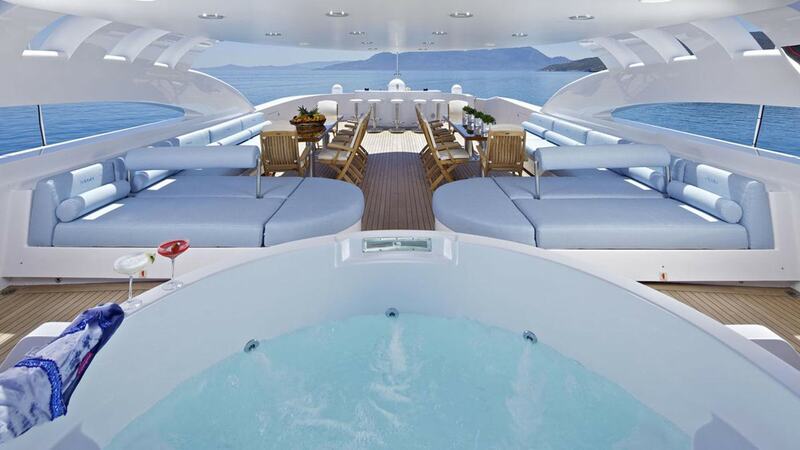 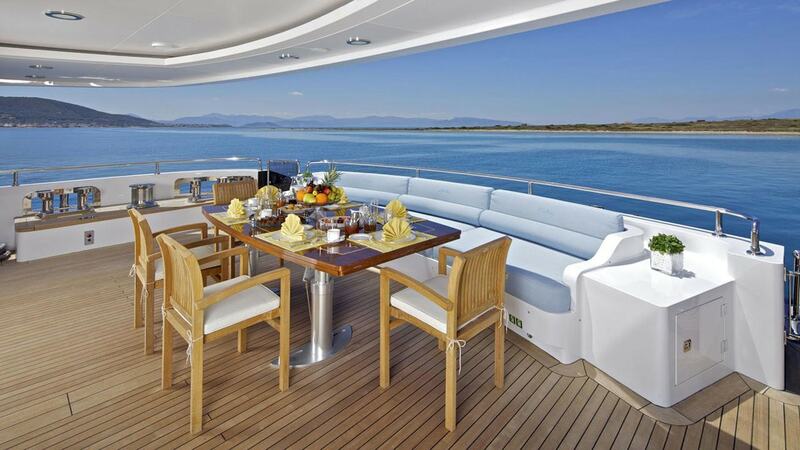 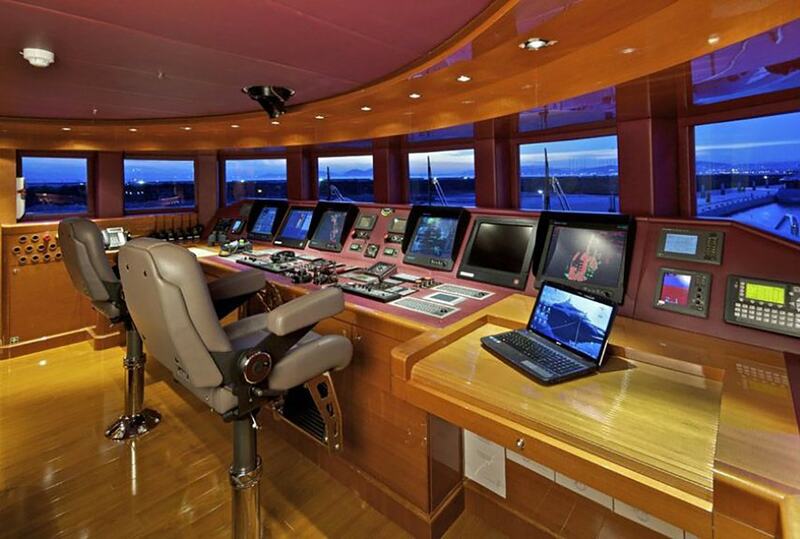 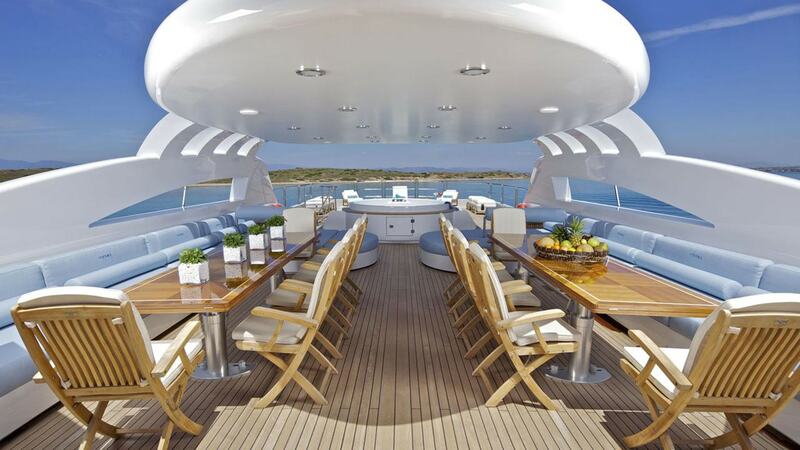 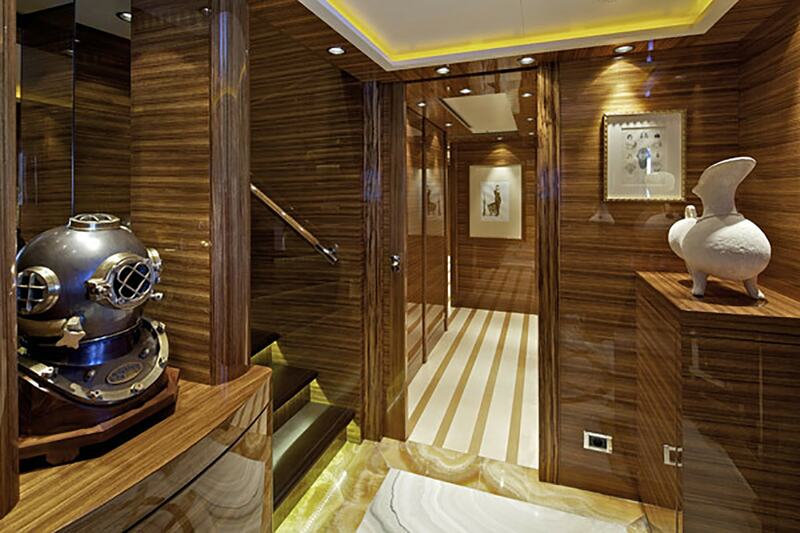 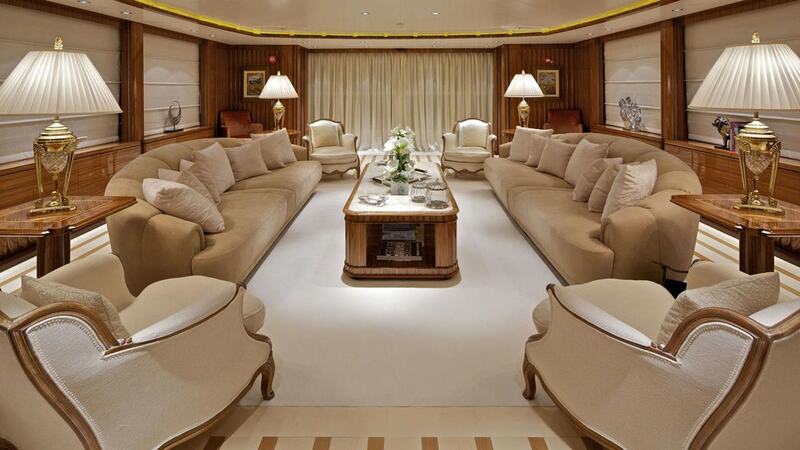 Main salon, based on the main deck and is devided in two areas; lounge and dining area. 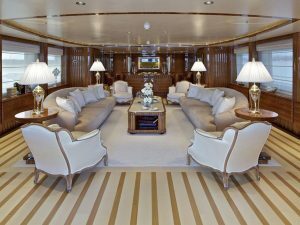 Her main salon is beautifully furnished with solid oak floors and African Teak wood furnishings. 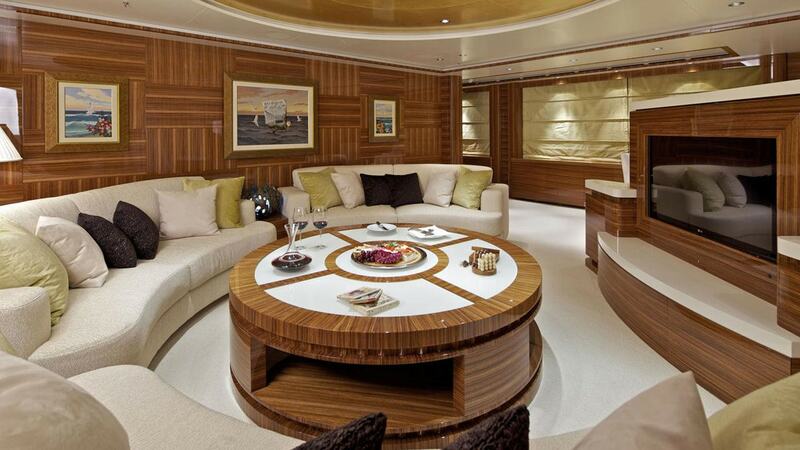 Her main salon has large windows which allow plenty of natural light. 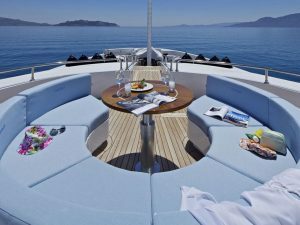 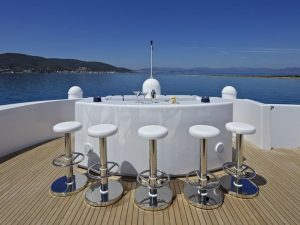 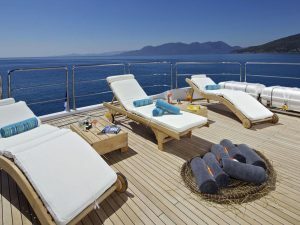 She boasts amazing teak deck and offers sunbathing on foredeck and sun deck equipped with Jacuzzi, bar and two al fresco tables on the port and star board side. 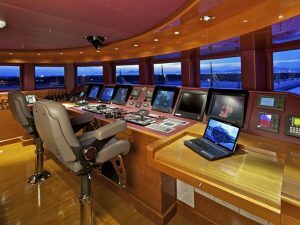 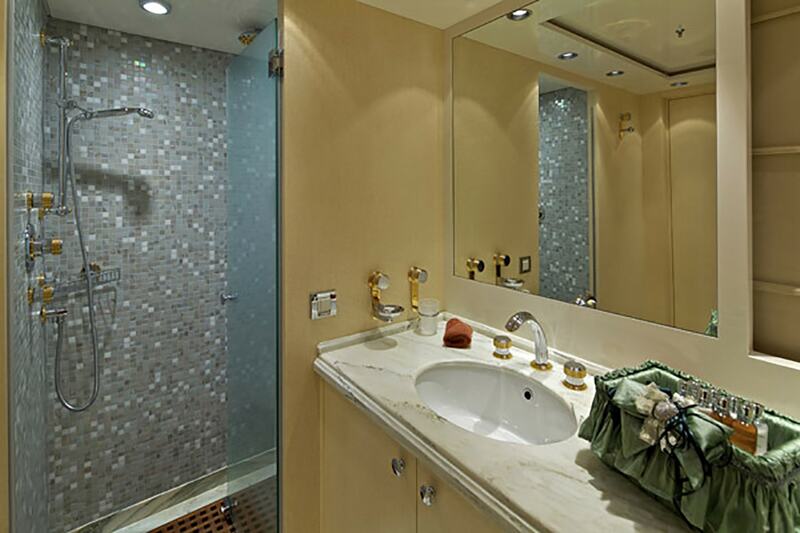 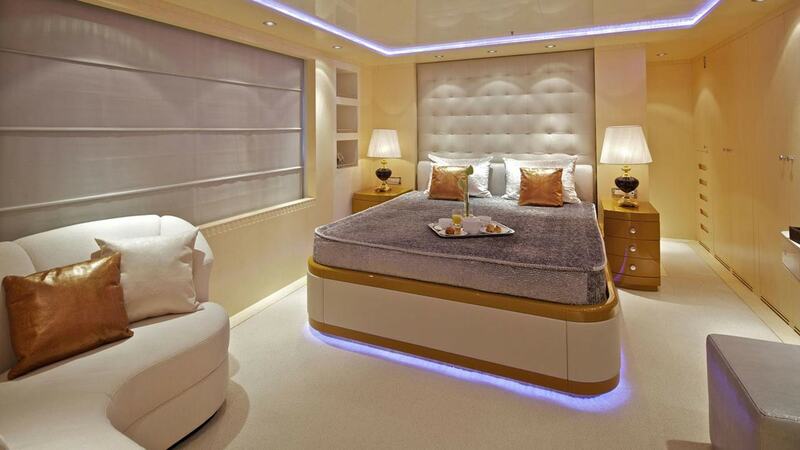 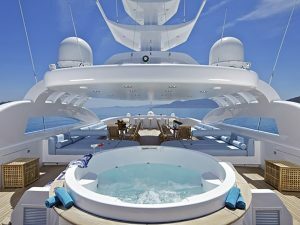 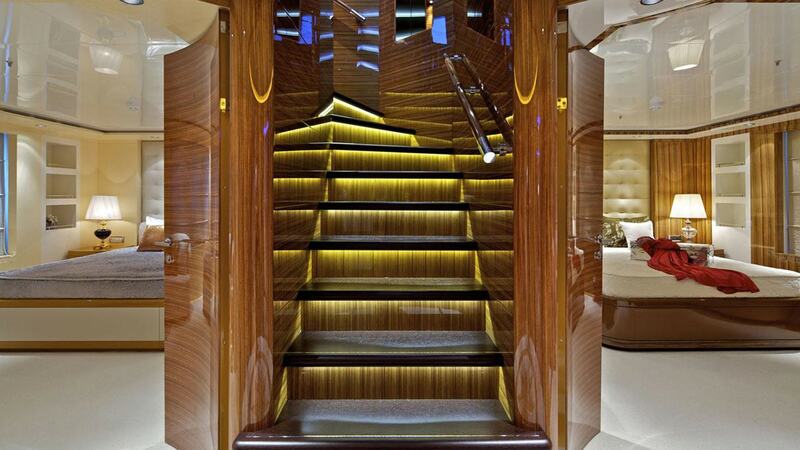 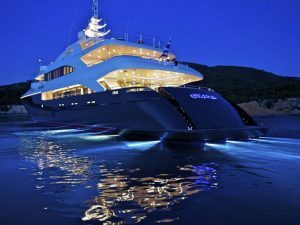 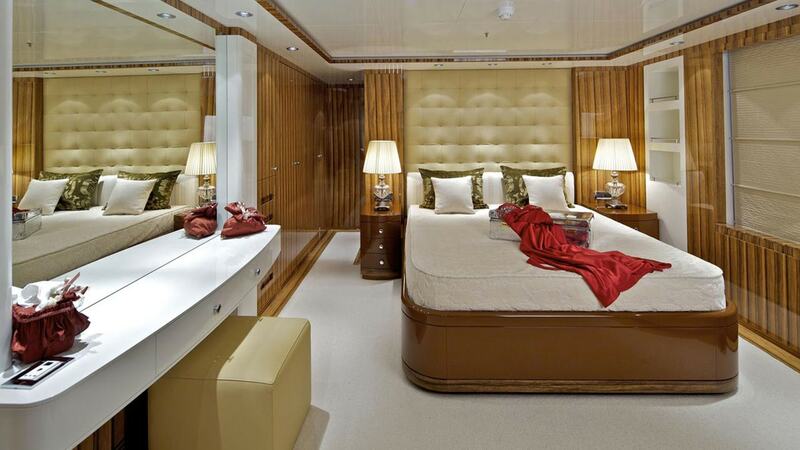 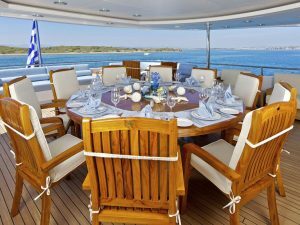 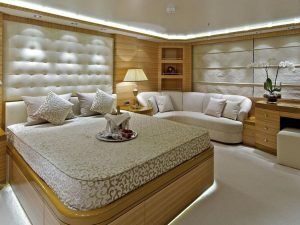 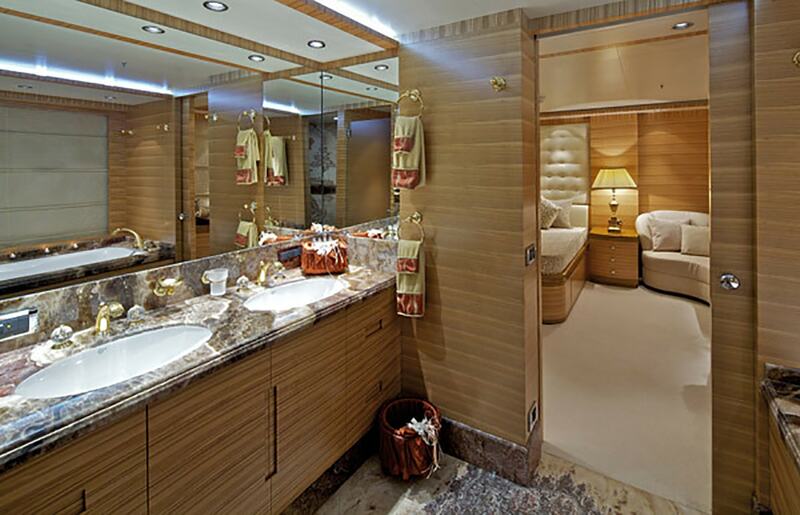 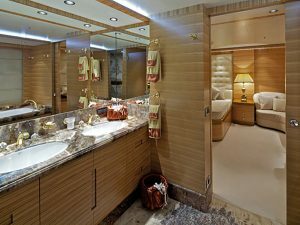 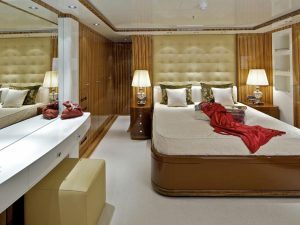 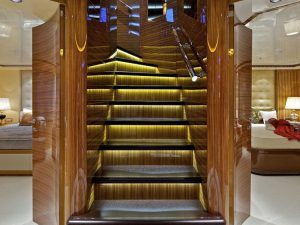 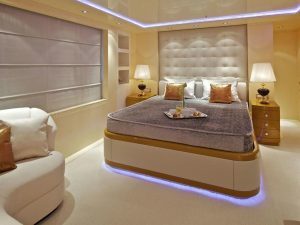 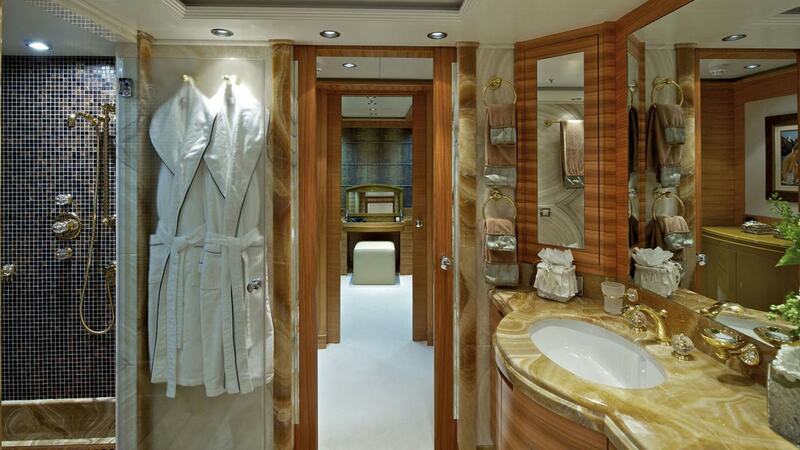 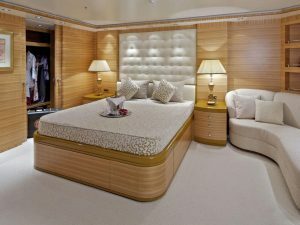 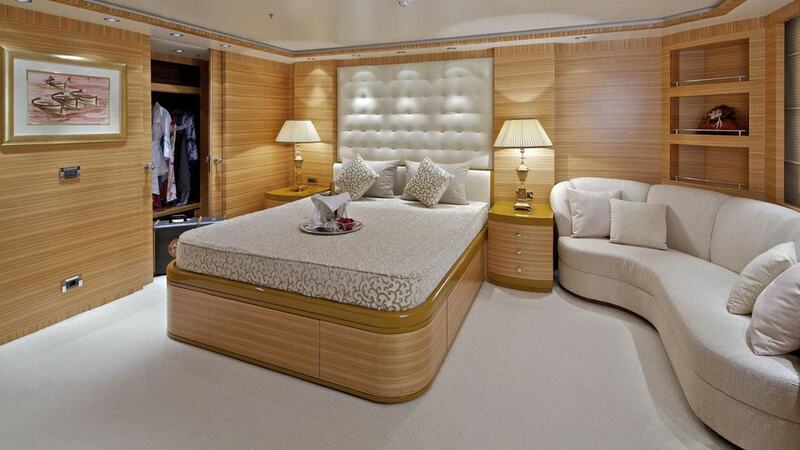 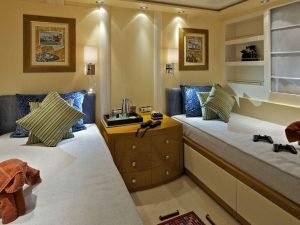 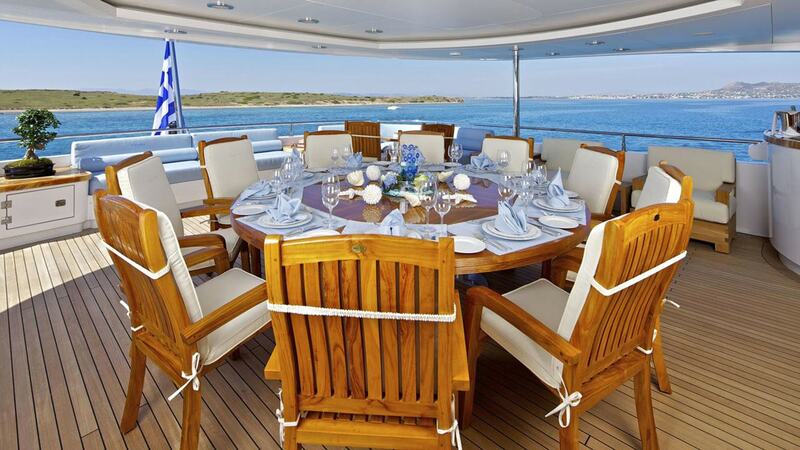 M/Y MIA RAMA accommodates 12 quests in 7 cabins. 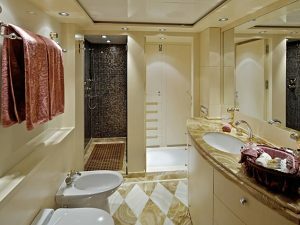 Master cabin is located on the main deck and feature a king size bed, royal ensuite bathroom with two water basins, Jacuzzi and shower, walk in wardrobe and lounge area.Twin cabin, also based on the main deck, with ensuite bathroom and a pullman berth. 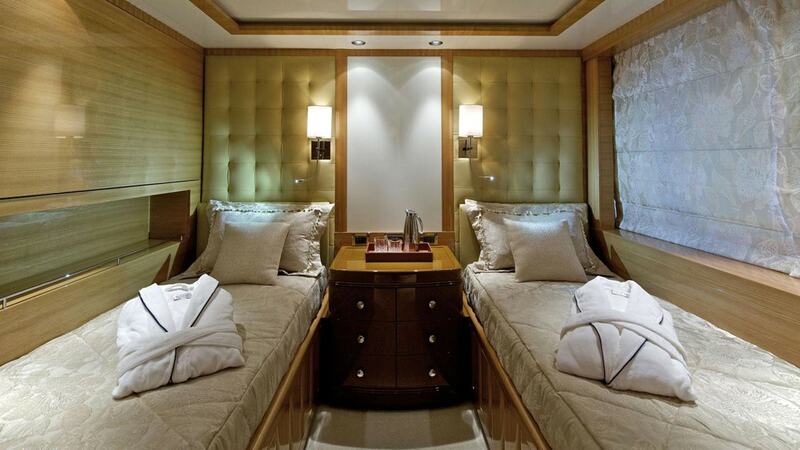 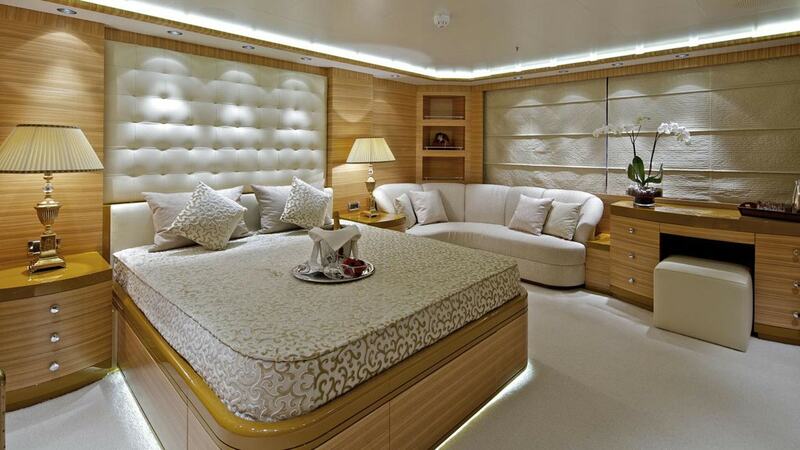 VIP cabin is located on the upper level, with a queen size bed, almost same lay out and features as the Master cabin. 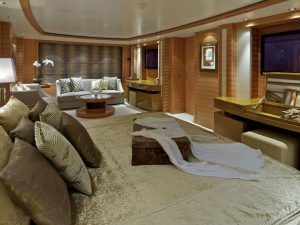 Two Double guests cabins and 2 twin cabins are based on the lower deck. 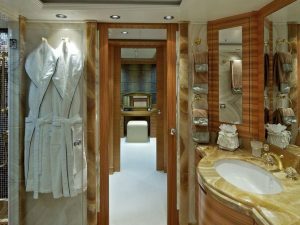 Double cabins features queen size beds and ensuite facilities. 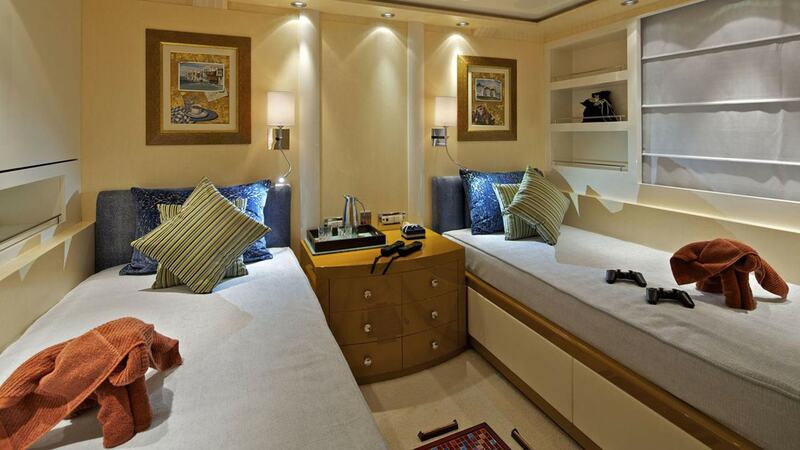 Twin cabins are equipped with twin beds and pullman beds. 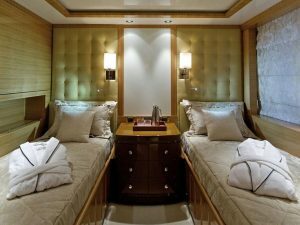 Twin cabins, also, can be connected with the double cabins, if kids are aboard. 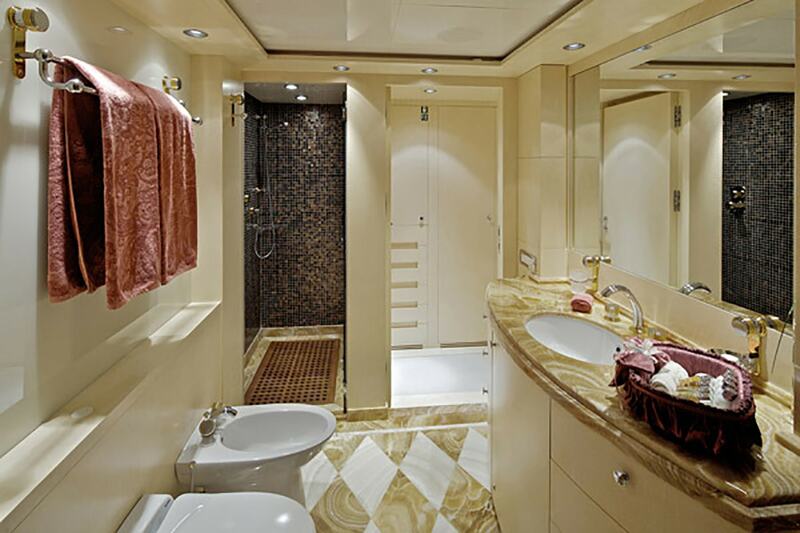 M/Y MIA RAMA is built with Steel hull and Aluminium superstructure. 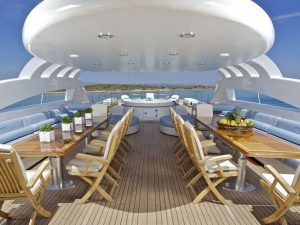 This custom full displacement yacht, features also at anchors stabilizers which work at zero speed, increasing onboard comfort at anchor and on rough waters. 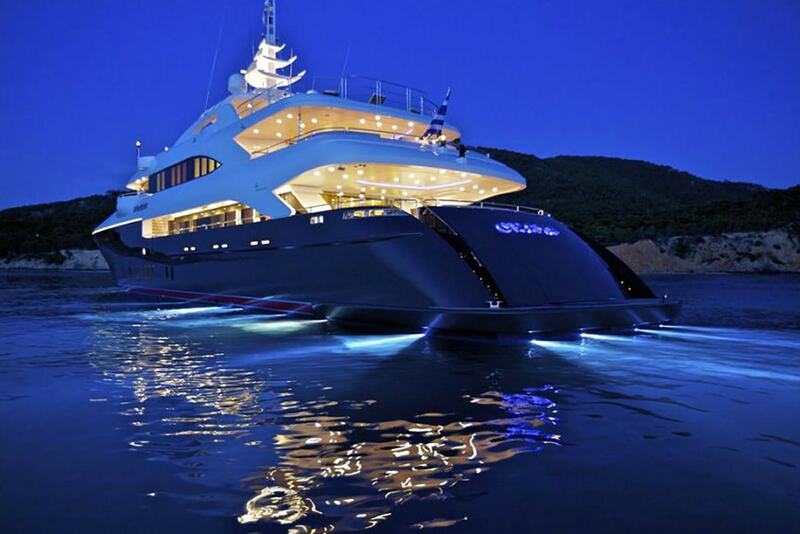 She powered by Caterpillar engines and has a cruising speed of 16 knots and top speed of 18 knots. 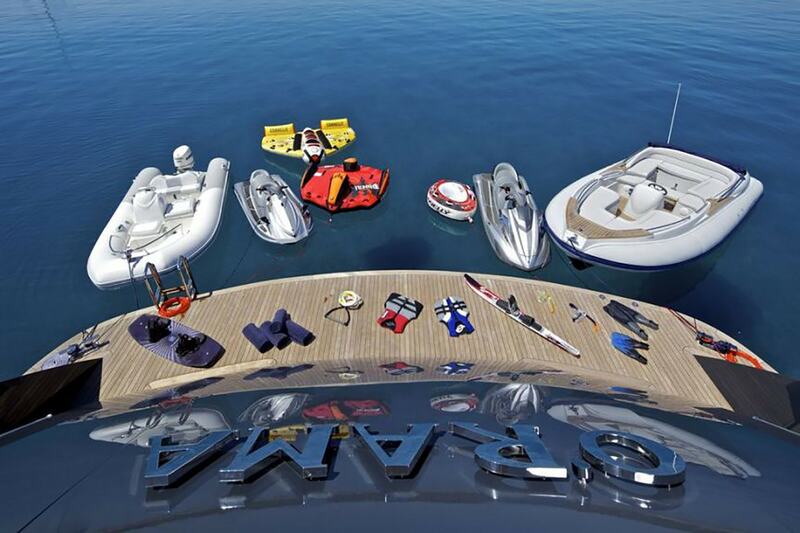 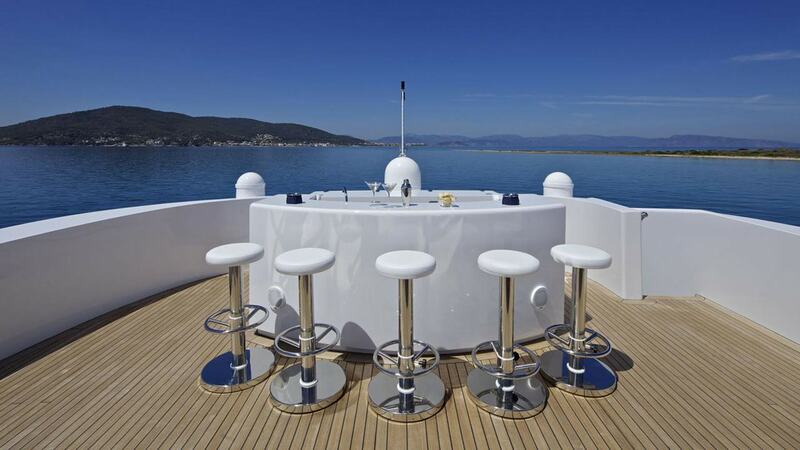 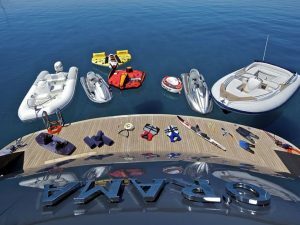 M/Y MIA RAMA has also an extensive inventory of water sports, to keep guests entertained. 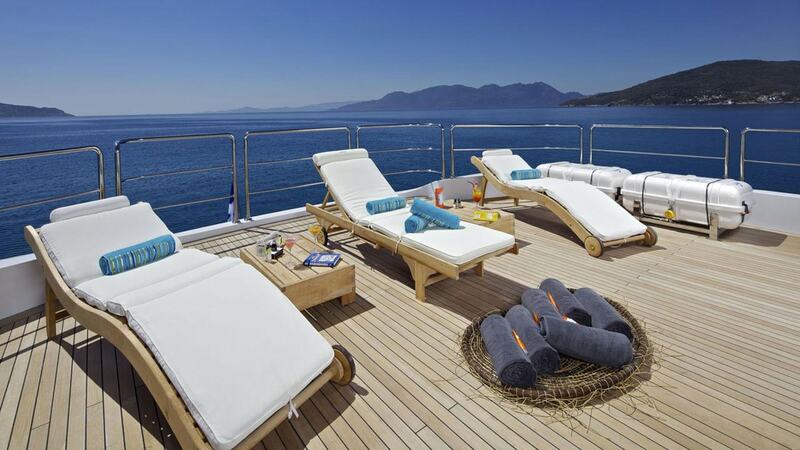 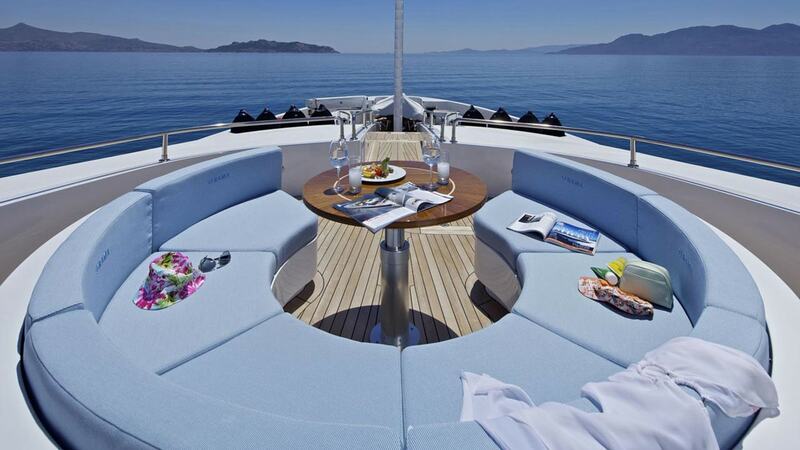 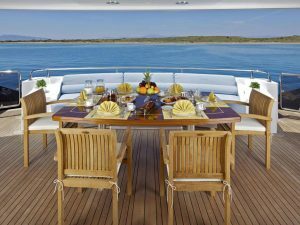 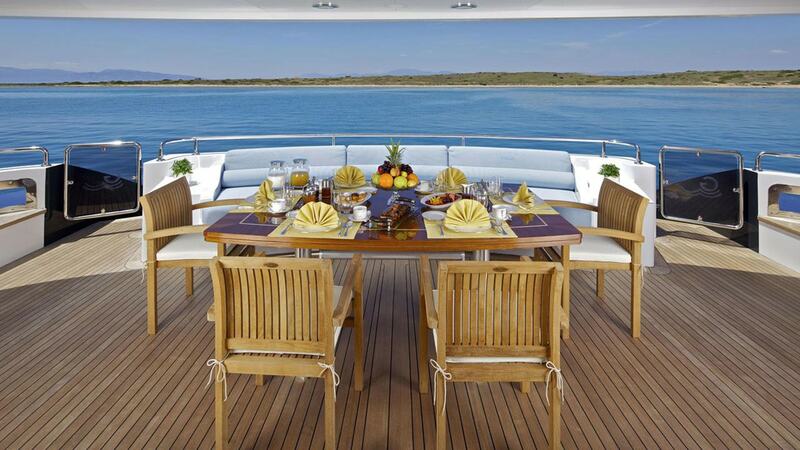 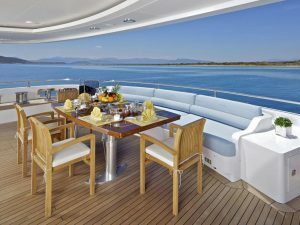 M/Y MIA RAMA is the absolutely choice for your holidays.